To build on my recent posting on negotiating, I am revising a business plan this morning for one of my Ultra-Low Budget projects and I thought it would be a good case study to share on how to get creative with an indie film business plan. For this project, we are seeking $150k to make the film -- a very standard ULB project budget. We feel very confident about the film's future, especially with that budget. We are building a great, bankable cast for that budget as well. I believe we could put that $150k together in bits and pieces from friends and family and colleagues and past investors. But funding in bits and pieces can take a lot of time and energy. We'd rather focus on finding an investor interested in investing the entire amount. Easier said than done. And this where the creativity comes in. In talking with my director, who has another life in what will one day be a high paying second career for him, he has offered to pay the investor back in full plus interest after five years (a timeframe that will allow himself to get settled in his new career) in installments of $1000/mo. -- if the film does not make its money back by then. Sound familiar? To investors, it should. For an investor, it's sort of like a reverse or private mortgage. You put in your money now and five years later, if the film has not earned its money back through sales, you get $1000 per month until that loan is paid back plus interest. And you are privy to back end splits should the film succeed and be profitable. And you will get an executive producer credit. I know this sounds scary for the director, but he looks at it as no different than a student loan and honestly, he is investing in himself -- something we all do every day. And we both believe in the bankability of the project so hopefully he won't even have to pay anything back. He's not a first-time filmmaker. He has a track record with a premiere at a major film festival. Why doesn't this director just pay for the film now, you ask? Well, he doesn't have the full $150k in the bank at the moment and we are making the film this year. So I am revising the business plan and presenting to investors. I am very intrigued to see how this idea is embraced. It's a very low-risk investment opportunity in a film and an Executive Producer credit to boot. I hope your plan works out. Do keep us posted. I'd love to hear the outcome here. I'm contacting you from telegraph21(www.telegraph21.com), a new video magazine featuring outstanding documentary films and art videos from around the world. 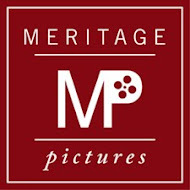 Monday’s featured video from Film Makes Us Happy may be of interest to readers of the All About Indie Filmmaking blog. Filmmaker Bryan Wizemann examines how his passion for filmmaking has affected his wife and child, giving us a glimpse of the emotional and financial havoc an artist's single-minded dedication can wreak on his family's life. sounds intriguing! but how much is interest? Interest will be negotiated. The most enticing thing about this idea is that the investor is assured of a return of his/her money with interest and a split of the profits. I have never seen that as a possibility in any other film business plan. It also allows those who want to dabble in filmmaking and learn the process to do so without much risk.